Doug: Well, welcome back, I'm super excited today to have as my guest Karen Talavera and I met Karen through an organization called Only Influencers, which is the world's leading community for email marketing professionals and Karen certainly has lots of credentials to back up the claim of the marketing professionals. She has 20 years experience with data-driven business, she's an internationally recognized email and digital marketing expert. She is the founder and the principal of consultancy, Synchronicity Marketing, which offers email marketing strategy, performance optimization, program planning, education and training. Karen is both a digital marketer practitioner and an industry expert. She was key in the creation of an email strategy and performance programs for her clients such as NASCAR, Foremost Insurance, Bank of the West, AAA, National Instruments, Google Express, Chicago Convention, and Tourism Board. Karen is also a member of the Direct Marketing Association, she helped to launch and design the DMA's only online email marketing training seminars and certification programs since its inception in 1999. She developed and has delivered custom in-house marketing training, workshops, and seminars for both business-to-business and business-to-consumer brands such as Disney, S&P, Medtronic, Pearson Education Applied Materials, ETS and Fidelity Investments. Karen is also a member of the Email Marketing Council and a member of the Direct Marketing Association in Florida. She served on the board of the Direct Marketing Association and is also, as I mentioned, a member of the Only Influencers community. She holds a BA in communications from the University of Michigan and in her spare time she enjoys pursuing one of her many passions including yoga, writing, international travel, outdoor adventures. Synchronicity is headquartered near Miami, Florida and you'll often find Karen if she's not soaking up in the sun, out on the surf. So, welcome today Karen. Karen Talavera: Thank you so much, Doug, great to be here. Doug: So is there anything that I missed or is there anything that you'd like to add to your introduction? Karen Talavera: I think you've done a great job, just one thing, I'm a member of the board of the Email Experience Council, it's called. I think I heard you say Email Marketing Council, but since we're talking email, I just kind of had to put a little spotlight on the EEC, as we call it for short because it really is the closest thing we have to a true organization for practicing email marketers or anyone in the industry, whether it's on the brand or the vendor side. Doug: Excellent, well thank you for that. So, with regards to your business and the experience that you've got we've seen lots of people in the email space saying, “Hey, email is dead. Email's not going. Everything's going social media.” I obviously tend to disagree with that and so I was hoping that you could share just a little bit of your insight on where you see the market currently today. Karen Talavera: Yeah, well, I feel like the whole, “Email is dead,” thing is so 2010, so we finally moved off of that and actually this year especially, email is going through a massive renaissance, which is awesome, but it was never even close to dying and in fact, part of that renaissance that I see it going through is a whole bunch of brands and companies that were really late adopters of the channel and have finally gotten onboard. They realized that at a minimum they have customers that want to hear from them in this channel. It's one of the most universal ways that they can communicate with their customers online or at least online probably the most universal way they can communicate with their customers and they need to say something. So that's part of why it's still growing I think in adoption, but as far as the renaissance part, we're seeing some really exciting things happen with what you can do creatively with an email to stand out in the inbox. The inbox and this is my prediction for at least a solid ten years, it's going to start looking more and more like a television or like an interactive webpage and we're seeing artificial intelligence and predictive analytics driven email, which is really the fun part. Sounds very techy, but it's more about saying the right thing and marketing smarter versus harder. So lots of automation driven and analytics driven messaging is going out the door to people, which is why if you're a consumer and you're buying from your favorite brands and not just the giants like Amazon or Walmart, they're getting better at anticipating your needs and looking at your past behavior to say something relevant to you and make relevant offers and that's pretty cool. Doug: Yeah, that's so important, I mean people look at media whether it's email or social media and they just think that they can blast away without adding value to people's lives and obviously we get turned off and click out of that stuff pretty quick. Karen Talavera: Absolutely, yeah, you know I'm on my probably going on the 15 years that I've been in this industry or maybe it's a little bit longer on my high horse to strike the worst blast from the vernacular of all email marketers. Karen Talavera: Oh no, I'm not trying to come down on you, but you know I still have clients who refer to it that way. Obviously, my clients are brands or agencies, so I'm like, well, we're not blasting anyone. We're having dialogues and we're trying to have conversations and so forth, but you're right, a lot of people out there in the world think of online advertising as being really intrusive and really one-size-fits-all and I think what the reality is, is when it's really done well, they're not even noticing it because it's so relevant and it's so welcome. So it's kind of interesting. Doug: Well I'm sure you have a handful of favorite emails that you look for every day. I do that I subscribe to and I'm anxious, I'm happy to get in and open my email, I don't open my email now til 10 in the morning, but I check my email and I'm looking for these particular brands I've subscribed to because I want to see what they've got to say. Karen Talavera: Yeah, absolutely, I'm a true hoarder of email because of a lot of the training and education I do in this space and constantly needing to showcase good examples of things, so I'm often hard pressed to just name favorites off the top of my head because I have sort of an elaborate … well, first of all, I have a guilty habit of signing up for anything and everything just to see what they're sending, whether I'm really in the market or not. Doug: I met someone like you, that's cool. Karen Talavera: And then I have some sort of an elaborate system of foldering and saving a bunch of stuff, which I don't always go in there and look at it unless I'm ready to buy something, but yeah, I've definitely seen an evolution, which is nice. In terms of content relevancy, timing relevancy and the creative, no doubt about it. So I'm not always necessarily waiting on pins and needles to see what I'm going to get every single day, but I'm more and more pleasantly surprised by what shows up. Doug: That's really cool. I love the automation side of it. Whenever we can use technology to do a better job of communicating with our potential customers and subscribers obviously that's a good thing. We last year started using predictive sending, so we would be tracking people's opening habits and when we would send an email to that particular list, it would be delivered at the time based on their previous opening habits. Karen Talavera: Yeah, and that's like low hanging fruit these days is to look at when and if people open and perhaps either have that in form of retargeting strategy or a timing strategy, but one of the things I've been doing a lot with my clients is building, I guess I call it automation work flows or intentional sequences, they go by all these names, dialogue tracks, but basically drift campaigns that have these branching paths that kick in depending on what somebody did with the message before or how they've transacted and behaved on a website and it's super complicated when you're in the weeds of it in the detail, but it's really fun to see it put into action. Doug: That's really cool, it's funny you said that, we were hanging out with Frank Kearn a little earlier this year and he was sharing some of the stuff that he's doing in terms of offers and when he sends an email out to a client and offers a free training video, if they don't click on the video, he won't even follow up and try to sell them a program that may further support that. He says, “Hey, if they're not interested in the video, they're not interested in my sales message either,” which I thought was a pretty insightful approach, opposed to what we talked about before, just sending the same offer to everybody. Karen Talavera: Yeah, absolutely, and broadcast still has its place and there's great content marketing going on, there's plenty of brands and publishers even or content aggregators I guess, that are putting out, I hate to even call them newsletters anymore, I don't know what a better name is, bulletins or continuity publications or something, that are really interesting and pretty much touch most people on a subscriber list, which is the whole point of that. You've got to have some broad touches to let folks that are less engaged know that you're still alive and trying to keep the relationship with them alive, but when there's that kind of sense and respond messaging that goes out and one that always comes to mind for me and they're always on target is Expedia. Really, really masterful at it at this point. Doug: That's cool. I'll have to take a look. I know I'm subscribed to them, but like you I subscribe to anything that has a “Hey, subscribe here” button, just to see what people are doing. So, with regards to the work that you do in email and helping your client, do you want to share with us a major breakthrough or success that you had with either a specific tactic or an approach that you took? Karen Talavera: Yeah, I would have to say even though it kind of gets a bad rap and you and I have talked about it offline, a lot of the opportunity is on the acquisition side of things, so the reason I say the acquisition side of email gets a bad rap is because people automatically think of, “Oh, rented list, harvested lists, blasting out to anything,” but there's plenty of legitimate prospect files, prospect emails subscriber files out there that are often built by companies themselves because they have the nature of their business, they have a business model that lends itself to collecting information from people who could become customers and are raising their hands saying I'm interested enough to opt into email and then they nurture them along to becoming customers. So, whether they're building their own file of prospects or they are renting or advertising in a legitimate list that's out there, publisher list or trade show list or whatever it might be, the way that you approach those types of audiences has come a long way. So, I've helped some of my clients put together those kinds of nurturing and drift sequences and one of them that makes a lot of sense is one my insurance clients. They get a ton of people coming to their website requesting a quote. We see all insurance companies basically doing this and you've got to provide at least some basic information about what you want to get insured on and your contact info in order for them to calculate something, well those people are a warm lead and I've seen some and helped design some email drift sequences that can take somebody from just being a quote requester all the way through to booking a policy, often with very little, but not necessarily none human intervention or human sales process, having to push them along. Karen Talavera: Yeah, let's learn something about them before just gushing out our feelings. We in the email marketing world talk a lot about relationship building with this dating and real-life marriage analogy. Or at least, I'm kind of butchering how I say this, but we analogize a lot the concept of building a relationship with an email subscriber or with a prospective customer with how you build a relationship in real life. So, you know what's going to happen if you go on a first date and start pouring it on, expecting to go from the first date to committed relationship or engagement, people are going to run for the hills, and that's why a lot of acquisition email has got a bad rap because that was the mindset of marketers going into it, thinking that if I blast and if I wow them, if I dazzle them, they will come and unfortunately, it's no, they will run, but if you just try to have a conversation and get to know someone who's interested in your brand or your offering in a sort of normal, human, caring, service-oriented way, then often it's very successful, so again, that's definitely a specific tactic I've seen have a lot of success and it's usually done on the acquisition side of marketing because it pays off so well when you're trying to convert a prospect to a customer. Not that you can't use drift campaigns and sequences and all of that to help customers do different things with you or get greater share of wallet, but it's super effective at that conversion process, and it brings up another thing, it's definitely a 64 million dollar big buzzword, customer journey, journey mapping, all of those terms. Well, If you understand the journey, then yeah, reflect it in how you do your email. Your email strategy, your communication strategy should absolutely sync to the customer, synchronize with the customer journey. Karen Talavera: Yeah, and what kind of journey are they on? If they're buying a book on Amazon, it's a really short journey. Maybe they're already done with no email intervention from you and you're going to recommend the next book. Great, that's part of understanding the journey, but yeah, if they're buying insurance or applying for a mortgage or a car, it's a much longer path. 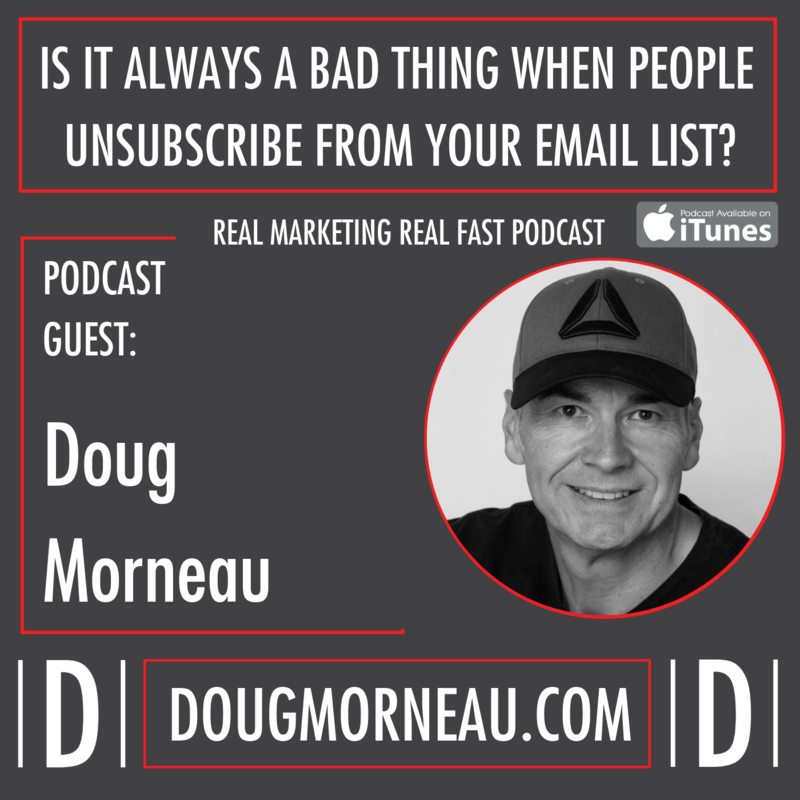 Doug: Now what do you think the biggest myths are about email marketing and this is a marketing tactic either for acquisition or for retention? Karen Talavera: Well a myth in the minds of marketers or the public at large? Doug: I'm thinking the minds of marketers. So I'm working at a company, I'm trying to convince my boss, “Hey, we should do something with email, I noticed we don't have a sign-up button on our website, or we do and we're not doing anything,” so what's likely the hesitation from people taking advantage of this as an awesome tool to generate business and keep their customers happy? Karen Talavera: The biggest myths are two sides of the same coin and they are unrealistic expectations, so on the one side, it's what I just referred to, if I build it, they will come, they will flood me with opportunity, that's not true. 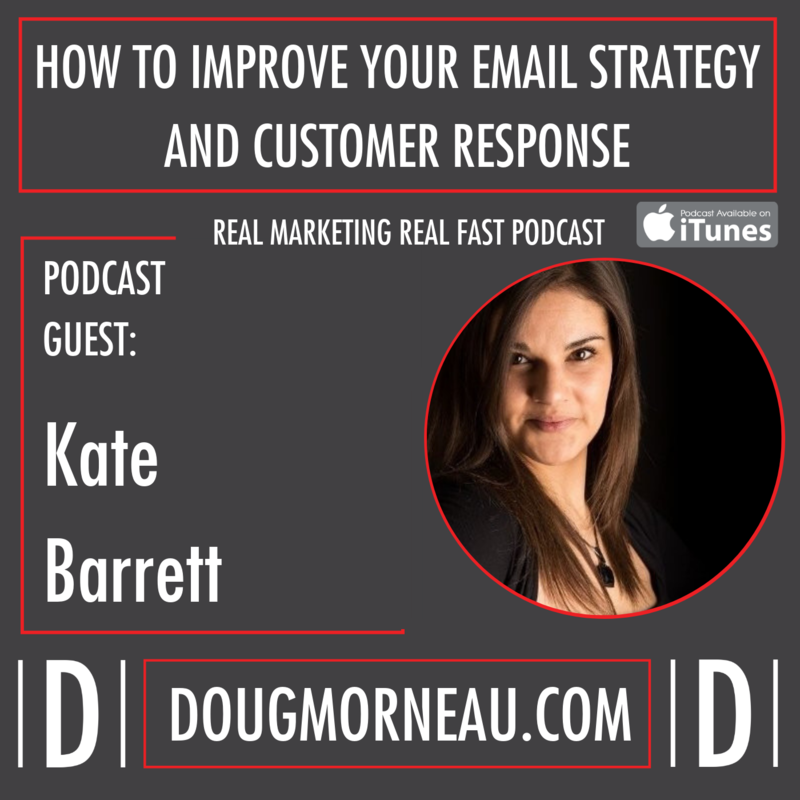 Just because you start sending out email doesn't mean you're going to get a ton of responses, it's how you do it. The fact that you have to mirror the journey and be human and be helpful and all of that is a big part of it. So you can have success if you do it right, but the other side is, “Oh, the channel is dead, my customers don't engage with the channel, it won't work for me,” and I see that a lot more kind of on the b-to-b side of the world than b-to-c, but still there are particular segments of probably both that dismiss it too quickly. Doug: Yeah, I totally agree, I've heard clients say in the b-to-b space, “Oh, Facebook doesn't work,” it's like, do you know how many billion people are on Facebook? And those people are people, and it's people who buy things, not computers or not segments, it's individuals, so reach them where they are. Karen Talavera: Yeah, absolutely. They're there, they're using email, we're all kind of, I don't want to say we're slaves to technology, but we have all these digital tech-based communication channels. They're not going away. We're all getting better at learning to use technology to enhance our lives, I think, rather than feeling beholden to it, but one thing that a lot of people need and are very, what's the word I want to use, not necessarily responsible, but loyal to, as a communication channel, is email, and I think part of it is they know it happens, if it gets out of hand, if they don't stay on top of it, nobody wants this overflowing crazy inbox, but we're dependent on it. We're very dependent on it, I think that's the word I'd rather use and I don't see that dependency going away and thank God, we've gotten smarter at how we use it, both as just regular consumers and as businesses trying to communicate that way. So that people aren't so overwhelmed, but we want all those transactional noticed we're going to get. When we buy something, when we bank when we make our credit card payment. Our lives are happening, our transactional lives as how we get through the world is happening more and more online and it's going to be hard to just not have email or not be checking your inbox to make sure that everything you want to occur in your life that you're now doing digitally is happening without a problem. Doug: I often think of email as your fingerprint. It ties into all of your transactions that you do, whether you're buying online, your online banking, you're setting up a social media account, everybody's got email at the base, so without it you're not signing into any of those things and with the new technology as you mentioned before, looking at what's coming where email can be delivered now as a message in Facebook Messenger, and it can now integrate and be delivered on Slack, so it's still from at least what I see on our side is through email we're sending out, but the recipient of that can now decide to your point, it's going to be more like TV, how do I want to receive that information that you're sending to me through email. Doug: Or you want to send me some money by e-transfer. Karen Talavera: Or even photos or whatever, there's always workarounds, but there are things that still need to be personal, private and can't necessarily get transmitted over other channels. Doug: So looking into the future with your magic powers, what are you most excited about today as it relates to email and email marketing in the coming 6 to 12 months. Karen Talavera: Well, when I look through my crystal ball, 6 to 12 months, I think definitely more predictively targeted or driven, driven is a better word, email. So, I'm starting to see now, it's beginning in marketers that have a lot of transactional data like retailers or some of the travel companies or travel sites, but they have so much history of behavior, purchase behavior to work with, that their ability to anticipate what a customer wants and needs and to intelligently target them with that at exactly the right time, it's just growing by leaps and bounds. So whether they create models, predictive models that are driving that or they just look at categorical purchase data and make decisions and interpretations off of that, there are more and more companies finally getting onboard using that technology. So we see automated or triggered messages start to actually become big percentages of a company's program. 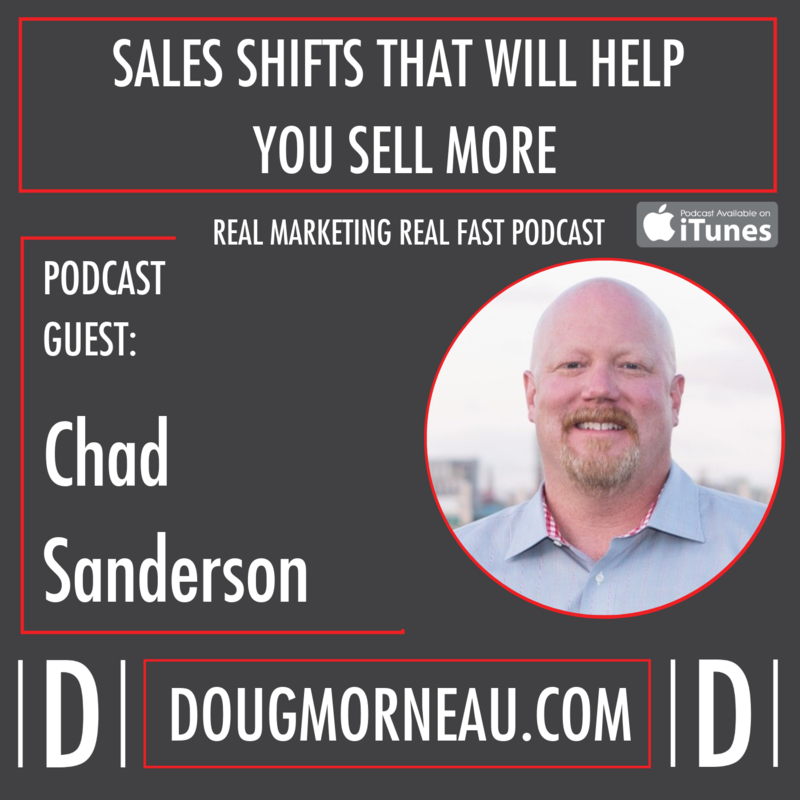 Even though they might be low in value, they're super effective in return on investment and driving revenue and companies are getting less entrenched with, “Oh God, I have to get the weekly newsletter out,” and investing more time and effort in automation and again, that predictive driven marketing. Doug: Yeah, totally makes sense, one of the words I heard you mention there was get the email out to the list and growing the lists that we talked about earlier and I think what we often forget and maybe I'll just make it a guy thing is that we need to brag about how big our list is and I really don't care how big the list is if it's not responsive. Karen Talavera: Right, which brings up another high-value buzzword, engagement. Which, we can have a whole podcast on engagement, but for anybody who is listening to this who is unclear on what that actually is, in the minds of the internet service providers that host these billions of email accounts we all use, they want to know that somebody is actually opening and clicking and that's what we as brands as markets want too. 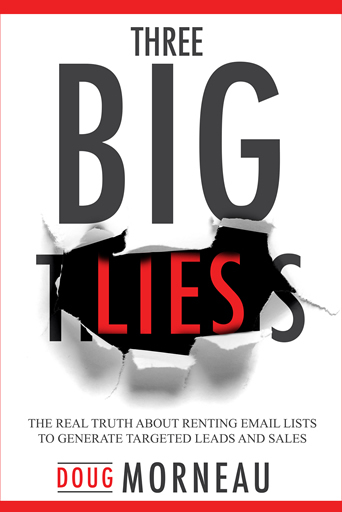 So if we have an unengaged list, if we're just blasting and no one's ever doing anything with our email, we might as well not be sending anything at all. Doug: Yep, well then we're going to get into the whole delivery discussion because there's no engagement, you're not getting inbox. Karen Talavera: Yeah, but engagement, that goes with any channel, that's why I said eventually could something replace email, I don't know maybe, but so far mobile apps haven't replaced websites. They're a fantastic supplement, but not everyone is going to end up with a smartphone or transact with a certain brand through an app, they're going to want to do things in different contexts and whatnot, so engagement in any channel, those that do develop mobile apps get really obsessed with daily active users, total active users, because it doesn't matter if you've got an app that a million people have tried once if only a thousand of them are actually using it. Anyone who's watched Silicone Valley on HBO will totally understand and get that, but same holds true for email. It doesn't matter if you have ten million a hundred million name lists if nobody's ever engaging and interested, because basically at that point you are probably a spammer if that's the case. Doug: That's right, you're just pushing to the list and you're just damaging your reputation. So kind of looking back in time, what advice would you give people that are hesitant to make a decision to move forward. You are in the consulting business, so you could walk somebody through this whole process, without what's a good way for somebody to get a start? Karen Talavera: I'm not finding a lot of hesitation out there these days to be honest, at least not with, I don't know if I'd use the word small business, but if you're a business $20 million or more in revenue, you know you need to be in this channel. So, if you're maybe a really small business, a self-employed professional, a soho, it's often a resource issue more than sort of any resistance, but I think the biggest advice I would give especially to those companies that are just kind of late adopters or they weren't sure exactly what email could do for them is if you're feeling like you're late to the party, please start with strategy. If you haven't dove into the pool yet, don't just walk over to the high diving board and throw caution to the wind and jump because no one's missing you already, so you might as well come in by doing it right. Learn to swim. Learn how to correct your stroke. Learn how to survive and thrive in this pool because there's a whole lot of things we might have recommended 10 or 15 years ago as starting points that are maybe not relevant today because we have all these fantastic data driven intelligence tools and automation capabilities that I think where it makes sense to some companies to start with email if they're kind of late to the party is they're kind of starting further up the learning curve than they would have been in the past. I would say don't let that intimidate you if that's the case, but please get some strategic help. I'm not just saying that because of course, could be a plug for what I do or what you do, but it pays not to have to go back and retrofit your systems. It pays not to have to go back and change how you do things if you set up a correct foundation right from the get go. Doug: Absolutely and it pays to make sure that you stay away from the dark side and you don't have a larger issue at hand later. So based on what you do and I do, who's one guest that you think we should have on the podcast coming up. Karen Talavera: Well, I don't know if you've already had her, but I would say Justine Jordan comes to mind who works for a company called Litmus, and could talk a lot about what's happening in the creative and technology renaissance that's going on in email, but another resource and group of guys that started this as a side hustle, a passion project, that comes to mind are the four guys behind Really Good Emails, which when we were talking about what are those brands and those senders that you can't wait until they show up in your inbox and they're always hitting the mark or they have great content, boy, for anybody who needs inspiration and needs to see what some of that might look like, Really Good Emails, literally at that URL is such a fantastic resource and hopefully will save me from having to be such a hoarder. Doug: An educated client who shows up and gets it. Karen Talavera: Yeah and I just love the [crosstalk 00:28:48]. So I know two, I think it was four guys that founded it, I know two of them, but they're both named Matt and it might be a good twist for you, the two Matts. Doug: We have the two Matts on, okay there we go, confuse people. So what's the best way for people to get a hold of you? Karen Talavera: The best way through my website at synchronicitymarketing.com and I've got contact forms and there's a way to request a free consult with me that would immediately alert me and allow me to reach out to somebody, but I always welcome interaction on social media and I'm on all the major platforms, certainly the business related ones, LinkedIn, Google Plus, Twitter, Facebook, Pinterest, Instagram, Instagram's more personal for me, but you could either search Synchronicity Marketing or my name and you'd find me. Doug: Excellent, well we will make sure that your contact information and all your websites and social media platforms are in the show notes, so for those of you who tuned in today and are listening and want to reach out and talk to Karen further or learn a bit more about her company, we'll have all that information in the show notes and I just want to take a moment to thank you very much for taking time to share with our audience today and you've been a great guest and shared some really good information for people wanting to improve their email marketing. Karen Talavera: Well thank you so much Doug, it's been a pleasure and I would just say I'm sure you would agree, keep emailing and keep getting smarter about doing it.